What a year it has been! 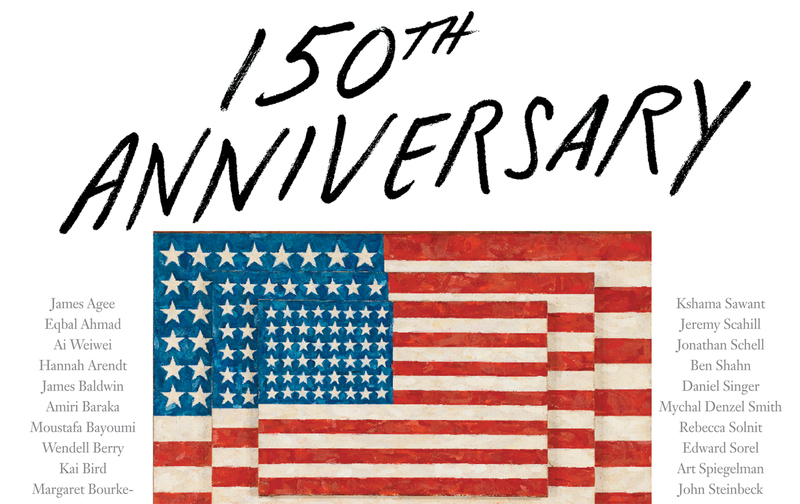 In 2015, we celebrated our 150th anniversary. We toured the country with a live show and a documentary film. We published a coffee table–bending 268-page special issue. We delved into our archives with daily explorations of our country’s rich and tumultuous history. Perhaps most vitally, on July 6, 2015, exactly 150 years after we published our first issue, we relaunched TheNation.com. Our new website, redesigned and reengineered from top to bottom, represents our commitment to being at the forefront of independent journalism for the next generation. Through the generosity of our donors, we were able to make all of our articles free for everyone for the remainder of our anniversary year. November saw a 102 percent growth in unique visitors and a 155 percent growth in page views. That turned out to be a very good thing—because in these turbulent times, we’ve never been more necessary. We’ve also never had greater reach. Here’s one measure: November 2015 saw a 102 percent growth in unique visitors and a 155 percent growth in page views over the same period last year. Many of these new readers came to us in the days after the Paris terrorist attacks, desperately searching for an explanation of ISIS’s origins and motives, an alternative to the racism and xenophobia that sprung up in response, and, above all, a strategy to wage peace, not war. Probing, passionate, brilliant articles by Juan Cole, Laila Lalami, Lydia Wilson, Kamel Daoud, and Yousef Munayyer were read by millions, more than a third of whom came from outside the United States. In 2016, an election year, we rededicate ourselves to journalism of this import and impact. That’s why you won’t find empty clickbait on our website. It’s also why, for many of you, nothing will change. New and casual readers will continue to be able to read our articles for free. If you like them, we hope you share them and come back for more. But doing journalism of this quality is expensive. In the past year, we’ve sent writers to the streets of Athens to report on the financial crisis; to the factories of Iowa to talk to working-class voters; and to the borders of Europe to document an unprecedented refugee crisis. We’ve interviewed presidential candidates, explored what’s at stake in the next election, investigated broken healthcare systems, and exposed the cruelty of the prison-industrial complex. We’re proud that we were among the first media companies to pay our interns a living wage, and that we just signed a groundbreaking contract with the union that represents our staff. Unlike most magazines that rely on advertising, The Nation depends upon the support of our readers. Everyone will be able to read six articles for free over a 30-day period. After the first three articles, you’ll be asked to sign up for our one of our newsletters so that we can stay in touch with you about our journalism. All print and digital subscribers can log in to enjoy unlimited access. For more details on how to create or manage your subscription, go to our handy FAQ. Many of you already subscribe (thanks!). Some of you have let your subscriptions lapse (now’s a great time to renew). And for some of you, this will be the first time you’re asked to pay to access our articles. Because we only do journalism that matters, we believe our regular readers will be proud to subscribe—and to help keep The Nation accessible to new readers. Over the next few months, we’ll be keeping a close eye on how this is all working, as well as answering customer queries. And of course, we’ll continue to bring you the pioneering journalism that made our first 150 years and will make our next 150.